Chul Kim Receives IEEE Solid-State Circuits Society (SSCS) Predoctoral Achievement Award for 2017-18. IEEE Solid-State Circuits Society (SSCS) Predoctoral Achievement Award for 2017-18. Chul Kim, a Bioengineering PhD graduate student in the Jacobs School of Engineering, will be receiving the IEEE Solid-State Circuits Society (SSCS) Predoctoral Achievement Award for 2017-18. The award will be conferred at the 2018 International Solid-State Circuits Conference (ISSCC), the society's flagship conference, and a profile on Chul's accomplishments will be featured in the Spring 2018 issue of the IEEE Solid-State Circuits Magazine as well as on the SSCS website. 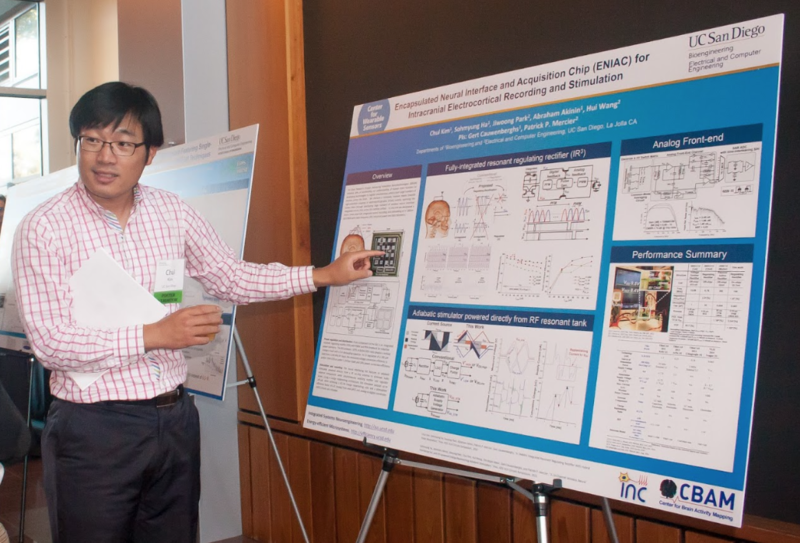 Chul is being recognized for his work on engineering design and clinical application of biomedical integrated circuits and systems towards high-density, high-resolution neural interfaces for minimally invasive neurological monitoring and therapeutics.